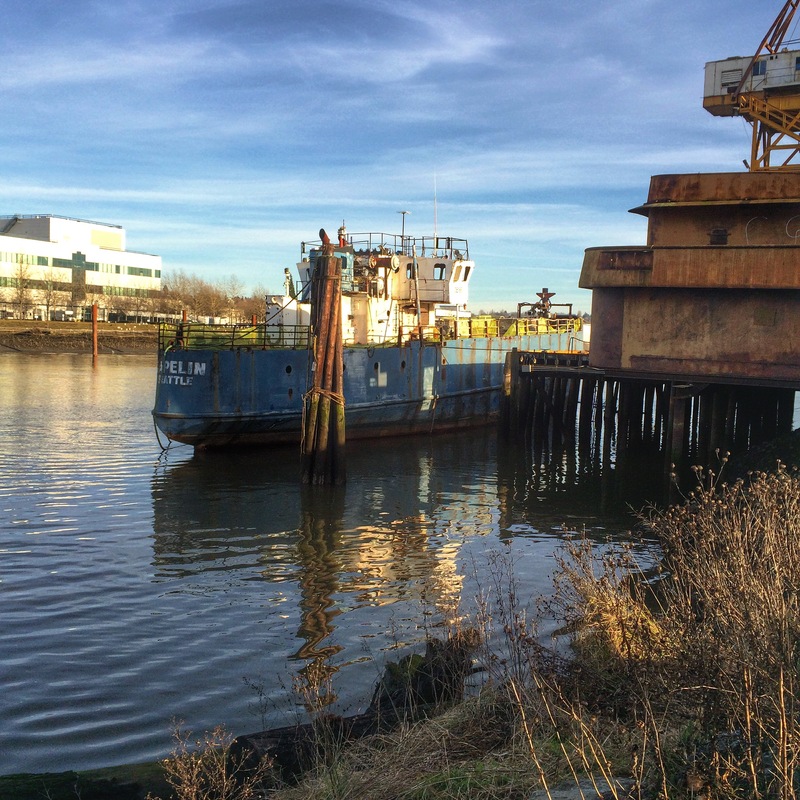 The Duwamish is an industrialized estuary, and Seattle’s only river. It’s estimated that less than 1/2 of Seattleites know the river exists or that it’s on the Superfund list. We cross it at least once every ride and it’s finally being cleaned up after 100 years of pollution, from Boeing, WWII, sewage, and runoff. I took this photo at S. Riverside Drive Park where a new trail is being built for pedestrians and cyclists, and connects to the South Park Bridge. One of Seattle’s more famous citizens, Macklemore has even spoken up about our river, and joined the cause at River for All. The Duwamish is part of the Seattle I see.